Buddhist International Travel Mart kicks off in Lumbini - Integration Through Media ....! 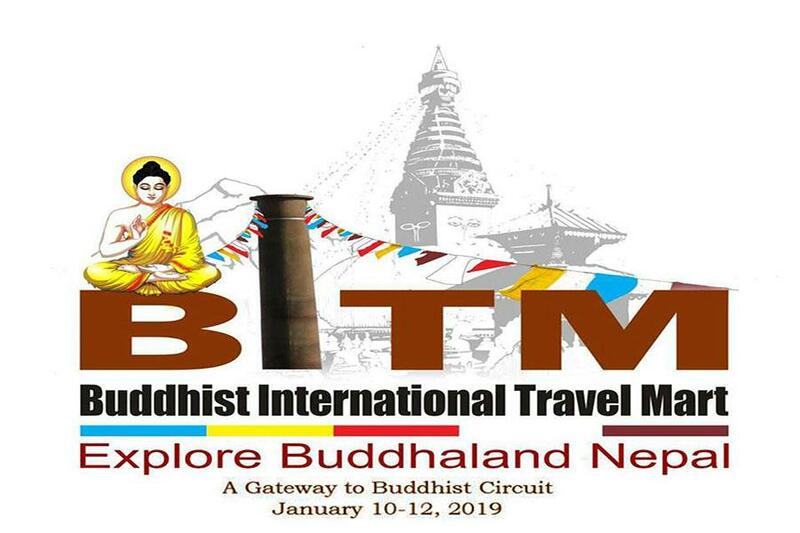 RUPANDEHI: Buddhist International Travel Mart has commenced at Lumbini, the birth place of the Buddha. Inaugurating the Mart today, Minister for Culture, Tourism and Civil Aviation Rabindra Prasad Adhikari said the number of visitors to Lumbini would surge after the construction of the Gautam Buddha International Airport at Bhairahawa. He said international flights would be operated from this airport from coming mid-September. “Two million tourists are expected to visit Lumbini in 2020,” he said. Province-5 government minister for industry, tourism, forest and environment Lila Girisaidthe province government has the plan of developing religious tourism by connecting Kapilbastu,devdaha, Ramgram and other areas associated with the life of the Buddha. He added that preparations are also on to celebrate the ‘Visit LumbiniYear’ in 2020. Lumbini Development Trust vice-chairperson Bhikkhu Metteya said that the Trt has called for global tender after the Lumbini master plan could not take off even for a long time. He said works on the master plan would be forwarded in the coming days. Tourism Secretary Krishna Devkota said the Ministry has given priority for the development of tourism in Lumbini. Indian tourism entrepreneur Ashish Gupta expressed that Nepal and India could collaborate for the tourism development in Lumbini as it is a centre of attraction for the foreign visitors. He suggested creating an environment for bringing the visitors coming to Nalanda, Kushinagar, Bodhgaya of India to Lumbini. Former president of Federation of Nepalese Chambers of Commerce and Industry (FNCCI) Suraj Baidya suggested making Lumbini more attractive. Nepal Association of Tour and Travel Agents (NATTA) has organized the event for the first time in Lumbini in association with the Ministry of Tourism and Nepal Tourism Board. The mart will run for three days and tourism entrepreneurs from 17 countries are participating in the Mart.